California. The land of beautiful beaches, sunny skies, packed freeways and perpetual summers. It’s a state where many people dream to live. The “Golden State” seems to be paradise, but when it comes to its criminal justice system, it is far from perfect. The nation’s third-largest state has started using a bail reform algorithm to determine whether someone goes to jail or not. Yes, you heard correctly – a mathematical formula to determine the fate of convicted felons! Algorithms have taken over our daily lives. From music to movies to predicting our online shopping traits. Now comes bail and sentencing decisions. 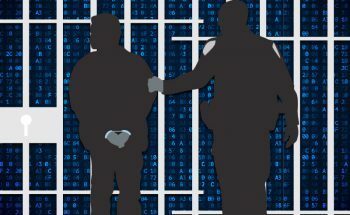 Currently, courts in California, and many other states are using algorithms to determine a defendant’s “risk” – ranging from the probability that they will commit another crime to the likelihood they will appear at his or her court date. These algorithmic systems have tremendous influence over the system, including decisions on bail, sentencing and parole. The larger problem with these systematic formulas is the fact that no federal law exist to set standards or requires inspection of these tools, the way FDA does with new drugs. Basically, an algorithm was implemented with no oversight or guidelines in place. This lack of transparency has had far-reaching consequences in the state of California. Recently, state resident French was going about his Sunday routine, waking up early, strolling down the street with his camera, hoping to catch the Cali sunrise. It was during this normal Sunday when 19-year-old Lamonte Mims stole his camera and fatally shot him with a handgun. Unfortunately, the bail reform algorithm had already released Mims numerous times prior for breaking into cars and violating two probations. Already a convicted felon in California, Mims would continue to commit offenses, yet each time he would be in jail for only short periods of time or many times not at all. This is just one example of the many questions and concerns raised with using algorithms and formulas to gauge jail time. If Mims was kept off the streets could French’s life have been saved? This is a perfect example of how these Bail reform algorithms are flawed. We believe that using this form of system is dangerous and reckless to the residents in the state of California. A judge shouldn’t weigh their decision on a risk-assessment tool that isn’t fully developed yet. We are in need of a system that will hold a defendant accountable for what he or she has done. Join us in the fight to preserve the bail industry. We have provided surety security since 1976 to our agent partners and we are not going anywhere. Keep your business secure with Bankers Surety, the number one surety provider in the industry.